The great news is that more Aussie kids have taken part in sport in the past year. The not-so-great news is that they’re still falling short of recommended activity levels, and parents are being cited as the reason why. Children’s Participation in Organised Physical Activity Outside of School Hours is the latest AusPlay research, which was recently released by the Australian Sports Commission (ASC). This report suggested that in 2017, 74% of children participated at least once in organised sport or physical activity outside school hours, which is a 4% increase from 2016 figures. 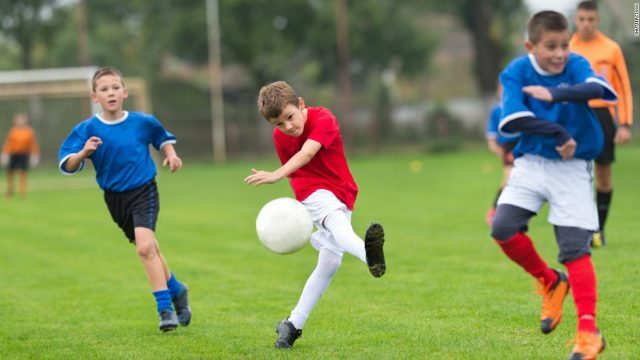 It also found that overall, there’s been an increase in participation in sport by children aged under 15 years, and that 25% of kids are participating in these activities three or more times a week, which is 5% higher than the 2016 participation rates. The findings have identified swimming as the most popular sport among boys (29.8%) and girls (33.9%), while the most popular team sports were found to be football among the boys (21.9%) and netball for girls (13.3%). While this report focused on organised activity outside school hours, Kate Palmer, CEO of the ASC said they would continue to work with sports and the education sector to re-emphasise sport in schools. “The ASC has been able to positively contribute to activity during school hours by managing the national Sporting Schools program, which has funded more than 6,500 primary schools to sample from more than 30 sports since its inception in 2015,” Palmer said. “It’s vital the sport sector works together to ensure fair access to physical activity for all Australians so that everyone can share in the enormous benefits it brings. “It’s encouraging to see more kids sampling sport and physical activity, but the reality is fewer than 20% are meeting daily recommendations for activity. According to this report, the key barrier is actually us – the parents! Apparently we spend around $2.1 billion a year on our kids’ participation in sport and physical activity, but it turns out that spending time on our own activity could actually make the biggest difference. Figures indicate that among kids who have at least one active parent, 75% of them participate in sport and physical activity outside school hours; this is in contrast to the 56% of kids participating, who have at least one inactive parent. It’s encouraging to see more kids sampling sport and physical activity, but the reality is fewer than 20% are meeting daily recommendations for activity. Now if I put my own parenting honesty to the test, I can see the truth in this insinuation. I know that when I find the time and muster the energy to do physically active things with my kid, she has a blast, and is completely receptive to the notion of getting out and at ‘em – be it on the bike, a walk in the local forest, or a swim at the pool or beach. I wholeheartedly agree that as parents, we have a responsibility to demonstrate an active lifestyle to our offspring if we want to ensure that a healthy, active lifestyle becomes their forever way of life. Although not impossible, it’s highly unlikely that kids who are not already entrenched in the joys of physical pursuits, are going to voluntarily switch off the device, declare Minecraft is poison for their brains and ask us to go for a hike as their preferred way to fill in their free time! Of course, many of us have a parental schedule that’s bursting at the seams, so fitting physical activity into a daily schedule – either alone or with the kids – can feel as challenging as trying to get a child to look at broccoli with the same level of desire that she looks at an ice cream! However, when you weigh up the benefits of doing so (i.e., spending time with the kids, demonstrating exercise as one of life’s priorities, having fun, plus all the health benefits that come with regular exercise), it really should be a no-brainer for every parent! The AusPlay survey commenced in 2015 and is the largest and most comprehensive survey of its kind conducted in Australia. To view the document in its entirety, click here. For more AusPlay information, including national data tables, click here.